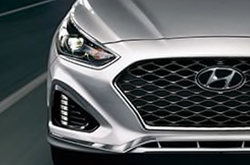 What's New for the 2019 Hyundai Sonata? For 2019, Hyundai is rolling out a vehicle that's strikingly close to the 2018 Sonata model. In fact, there's only been one substantial change. The Sport+ trim will no longer have a turbocharged engine available. Previously, this turbo-4 2.0-liter engine had been customized for the Sonata Sport and rated at 245 horsepower. Now that it's no longer offered for the trim level, the most powerful engine option is a 2.4-liter 4-cylinder gasoline engine with a 185 horsepower capacity. There are 6 trims available for this vehicle. The SE trim is standard and includes projector and automatic headlights, fold-away power side mirrors, tilt-and-telescoping steering wheel, cruise control, and steering wheel-mounted audio controls. The SE also comes with premium cloth seating, 7-inch color touchscreen display, USB and auxiliary input jacks, and Bluetooth hands-free system with Android Auto and Apple CarPlay compatibility. In addition to what comes with the SE trim, the SEL trim includes push button start with proximity key entry, a hands-free smart trunk, LED daytime running lights, heated fold-away side mirrors with turn signal indicators and chrome exterior handles. The following options are available with the SEL trim: Smart Cruise Control, electronic parking brake, leather-wrapped steering wheel, a 4.2-inch color computer with customized settings, 10-way power driver seat with lumbar support, heated front seats, HD radio and SiriusXM satellite radio, a floor console-mounted USB charge port and comprehensive Blue Link packages. The Sport+ takes those features and adds glossy mirror housing and DLO surround, external sport aesthetic upgrades, chrome-tipped dual exhaust, power tilt-and-slide sunroof, leather-wrapped and heated D-cut steering wheel with leather-wrapped Sport shift knob, sport seats with cloth insert and leather bolsters, dual automatic temperature control, rear vents mounted on the floor console, 3D technology appearance accents, aluminum pedals, and wireless device charging. The Limited trim adds to what comes on the SEL: an optional power-tilt-and-slide sunroof or panoramic sunroof, rear side window sunshades, optionally heated steering wheel, auto-dimming rearview mirror including compass and HomeLink, leather seating surfaces, 6-way power passenger seat, integrated memory system for mirrors, ventilated front seats, and premium door plate and wood grain appearance accents. An 8-inch touchscreen navigation, 10-speaker audio system including external amplifier and subwoofer, and the Blue Link Guidance Package (which includes 3 years of complimentary service) are options on the Limited. The Limited 2.0T+ is the most luxurious trim and makes all optional Limited features the standard. It also offers heated, leather-wrapped steering wheel with leather-wrapped shift knob, sport seats with leather seating surfaces, and 3D technology appearance accents. The Limited 2.0T+ is a combination of the best sport and luxury features on the other trims. The Sonata has several engine choices. 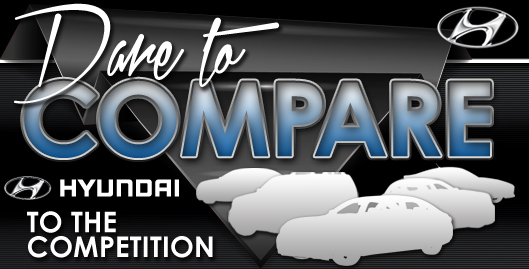 The standard is the inline 4-cylinder 2.4-liter engine that gets 185 horsepower. If you're going for a slightly less thirsty gas sipper, the Eco is powered by the inline 1.6-liter 4-cylinder twin-scroll turbocharged engine that provides 178 horsepower. The Limited 2.0T+ comes with a 2.0 liter with a 245 horsepower rating. 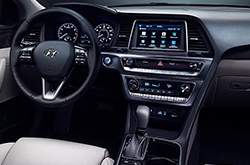 The Sonata has a comprehensive set of airbags, traction and electronic stability control, brake assistance, child safety locks, a blind spot monitor, and cross-traffic alert.